The J. Ranck Electric Team embraces safety as a core value. To us, that means making decisions based on the goal that all employees return home safely every day. Our company safety program is called Safe 365 because we know that working safely is not something we can focus on one day and ignore the next. Rather, it’s something we make the decision to value each day, all 365 days of the year. Safe 365 is a comprehensive safety program which consists of three main parts. First, we take a behavior based approach. Accordingly, we promote individual responsibility for safe behavior. Using regular observation and immediate feedback, we can change unsafe behaviors and avoid injuries. Second, we have site-specific safety plans tailored to individual projects. Third, each JRE foreman conducts a daily Jobsite Safety Analysis. The foreman shares their work plan for the day and the crew discusses the hazards they may face, as well as which measures they will take to work safely despite hazards. 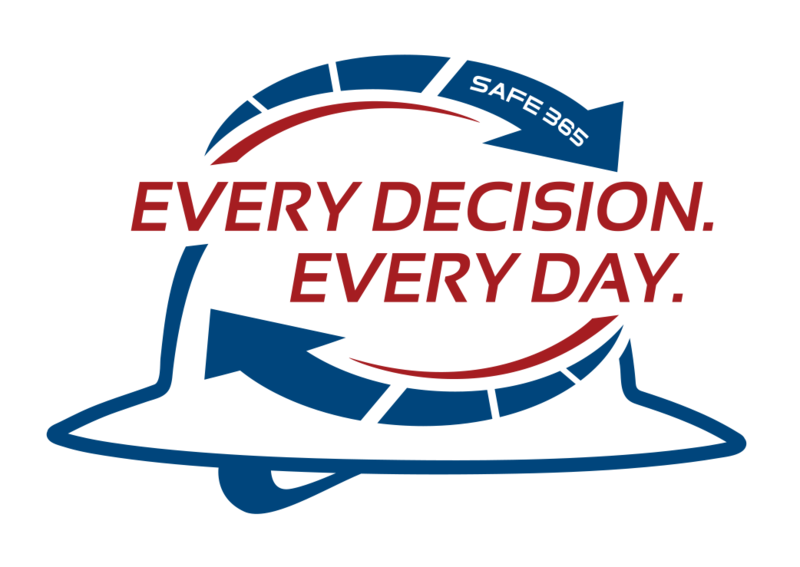 Each piece of the Safe 365 program is a continuous reminder that every single decision we make is either safe or unsafe. For this reason, we place the Safe 365 logo conspicuously throughout JRE jobsites: on vehicles, posters, forms, hardhats, and more. When members of the JRE Team see the logo, we remember that every decision, from wearing PPE to choosing the right tools for the job, is either an opportunity for a safe outcome or an opportunity for an incident to occur. Before construction starts, we review site plans and determine if any specific concerns need to be addressed to create and maintain a safe environment at each JRE job. We set project safety goals and then follow through with an implementation plan that works with the project and schedule. Our safety representatives visit jobsites regularly to audit and review project specific goals and concerns. Reporting a Good Catch gives the rest of the JRE Team the information we need to be proactive and prevent incidents. Go to jranck.com/goodcatch to report a Good Catch or near miss event.